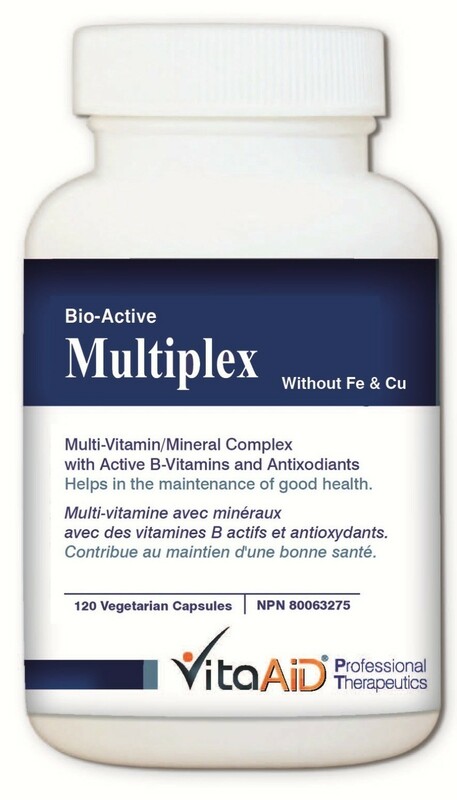 Comprehensive multi-vitamin/mineral formula with 14 essential vitamins, 9 minerals, plus additional 13 phytonutrients, antioxidants, and lipotrophic agents. Formulated without Fe & Cu to minimize pro-inflammtory factors. Contains EGCG, 100% free form lutein, OPCs, rosemary, NAC, quercetin, hesperidin, R-alpha-lipoic acid (active form) and CoQ10 to strenghthen cells' structural integrity and protect them against free radicals. Highly concentrated formula without processed filler and magnesium stearate; requires only 2 capsules to reach recommended daily dosage.